This year I've tried to challenge myself and do some new things. I did a 30 day challenge, I entered the fair and I moved! I'm also currently participating in the Ultimate Blog Challenge. There's more, but suffice it to say it's been an eventful year. Now that fall is here there are even more new things I want to try for this, my favorite season. For me, Pinterest has been the perfect holding area for ideas, but my boards are chuck full of pins and I often wonder if I'll ever get around to even a quarter of them. 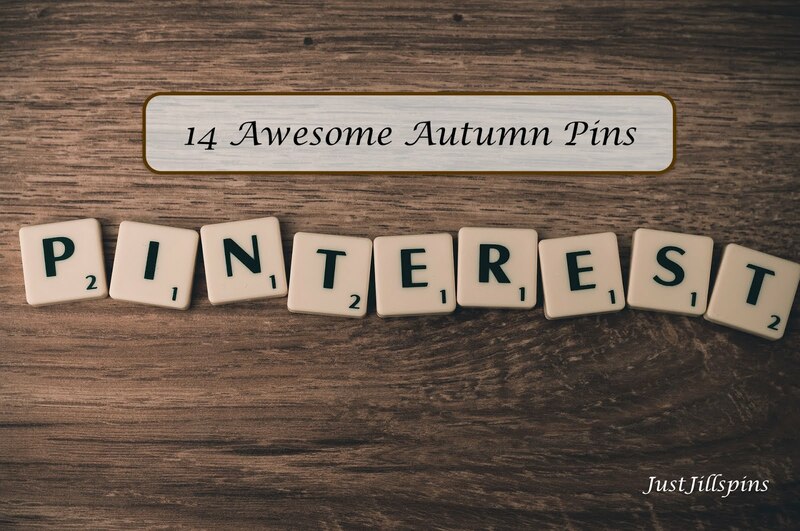 So, in the spirit of trying something new, I thought I'd make a list of 14 Autumn Pinterest Ideas right here to get myself moving. Any more than that and I know I won't get to any of them! To follow me on Pinterest, click here! 1. 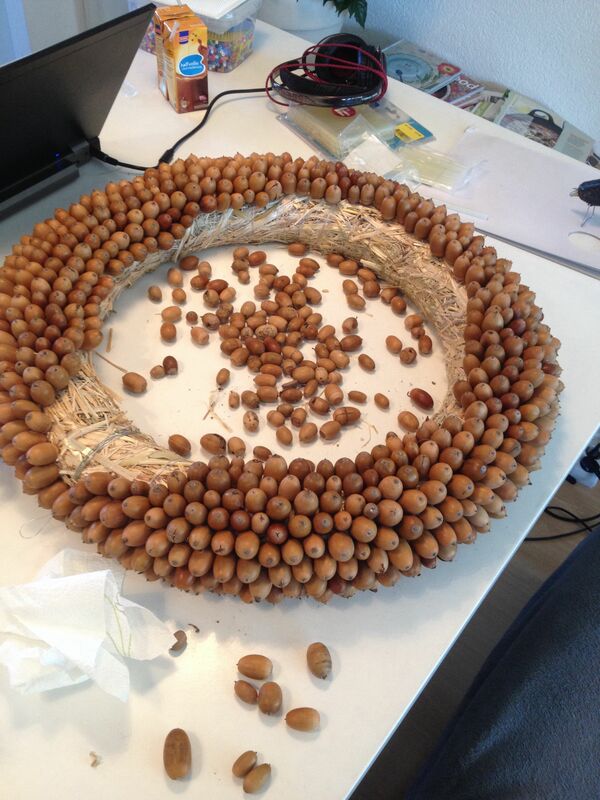 Acorn wreath - This one doesn't come with instructions, but it sure looks cool. I even have oak trees in my back yard. 2. Pinecone wreath - Scroll down and you'll see this one. No pine trees here, but I'm sure I could scavenge up some pine cones. 3. Felt Owls - These are adorable! 4. Harvest Gold Sunflower Hat - I love sunflowers. I really should make this one. 5. Halloween Garland - This one looks easy and cute. 6. Halloween Hats - So cute. Candy corn, spider webs and pumpkins, oh my! 7. Pumpkin Coffee Mug Sleeve - With all the crocheting I've done, surprisingly I haven't made a mug sleeve. I may have to remedy that! 8. Pumpkin Doughnuts - I might try these this week. I just found my donut pans so I'm ready to go. 10. Hat and Scarf Set in lovely fall colors. So pretty. 11. Thanksgiving Pretzel Turkeys - This is only a picture, but easy to follow I'm sure. 12. Crochet Indian Corn - How have I not made this? 13. No Bake Pumpkin Spice Pudding Pie - I don't have enough pumpkin recipes. I have to try this. 14. Homemade Pumpkin Spice Mix - I love making my own mixes. Actually this taco seasoning I use ALL the time. Love this post - I don't have to go find them myself! Great! Glad I could be of help! I joined Pinterest way back when- and promptly abandoned it. That's so funny! I was a latecomer to Pinterest and I haven't looked back. My mom and sister convinced me. I have slowly let more and more social media into my life and this is one of my favorites.